Chlorphenesin is a synthetic preservative that is used in a variety of cosmetics and personal care products in order to extend the shelf-life by preventing microbial contamination. Chlorphenesin is a derivative of chlorophenol. A chlorophenol is any organochloride of phenol that contains one or more covalently bonded chlorine atoms. Chlorphenesin is produced by condensing equimolar amounts of p-chlorophenol and glycidol in the presence of a tertiary amine or a quaternary ammonium salt as a catalyst. In cosmetics, this ingredient is used as a preservative because of its antifungal and antibacterial properties. According to information supplied to the Food and Drug Administration (FDA) by industry as part of the Voluntary Cosmetic Registration Program (VCRP) in 2011, chlorphenesin is used in 1,386 cosmetic products. Results from a survey of ingredient use concentrations provided by the Personal Care Products Council in 2011 indicate that in rinse-off products, concentrations of chlorphenesin can be found up to 0.32%, and in leave-on products up to 0.3%. In cosmetics and personal care products, chlorphenesin is used in the formulation of aftershave lotions, bath products, cleansing products, deodorants, hair conditioners, makeup, skin care products, personal cleanliness products, and shampoos. There is some confusion surrounding the difference between chlorphenesin and chlorphenesin carbamate. Chlorphenesin carbamate is a centrally acting muscle relaxant, although it is typically no longer used for this purpose in most developed nations due to the availability of much safer spasmolytics. Chlorphenesin carbamate is not a cosmetic ingredient. Chlorphenesin functions as a biocide in cosmetic products, which means that it helps prevent the growth of microorganisms on the skin which reduces or prevents odor. It has been reported that chlorphenesin in concentrations 0.1% to 0.3% has bactericidal activity against gram positive and gram negative bacteria, fungicidal activity against Aspergillus niger and Penicillium pinophilum, and is also active against Candida albicans and Saccharomyces cerevisiae. Preservatives have received a negative connotation in the cosmetic and skin care industry because of claims that preservatives are hazardous to health. This is why many organic and natural beauty brands often include “preservative free” claims on product labels. However, the use of preservatives is necessary in most products to prevent degradation caused by microorganisms, and to protect the product from inadvertent contamination by the consumer during use. A preservative may also be added to a product to protect it against deterioration caused by exposure to oxygen. In this case, these ingredients are also called antioxidants. 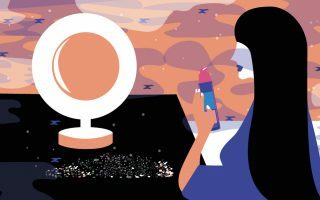 Just like food, cosmetics products can become contaminated without preservatives, leading to product spoilage and possibly irritation or infections. Microbial contamination of products, especially those used around the eyes and on the skin, can lead to significant problems. Preservatives help prevent such problems. The safety of chlorphenesin has been reviewed by the Cosmetic Ingredient Review (CIR) Expert Panel. The CIR Expert Panel reviewed the scientific data and concluded that chlorphenesin is safe in the present practices of use and concentration in cosmetics and personal care products. The CIR Expert Panel noted that chlorphenesin was well-absorbed when applied to the skin of rats, however, their concern was minimized because of the negative toxicity data. Few case reports demonstrated that chlorphenesin may cause eczema and skin irritation. In tests evaluating allergies to preservatives, chlorphenesin had a high irritancy rate for those allergic to preservatives. Optimum concentration of chlorphenesin for avoiding skin reactions is less than 0.5%. 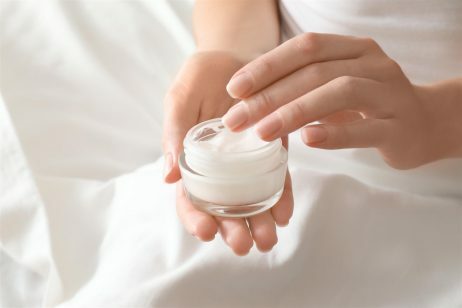 The Panel also determined that the ingredient could increase sensory irritation in some creams, particularly when used together with parabens and phenoxyethanol. According to EWG, chlorphenesin has received a rating of 2 on a scale of 1 to 10, with 1 being the lowest risk to health and 10 being the highest. Many countries, such as Japan, have restricted the use of chlorphenesin in cosmetics and personal care products by giving it concentration limitations. References: Cosmetic Ingredient Review, “Safety Assessment of Chlorphenesin as Used in Cosmetics”, 2012, Wikipedia, “Chlorophenol”, Cosmetics Info, “Chlorphenesin”, Cosmetics Info, “Preservative Information”, EWG’s Skin Deep Cosmetic Database.